I’ve been off the grid over the last two weeks, so to speak, summoning the last vestiges of youth to spend two weeks backpacking around Europe. This is meant that I have consequently only loosely kept abreast of Olympic developments, either through social media or occasional messages from colleagues. One theme leaped out when attempting to summarize what I had missed: values and the hallowed principles that sport claims to respect, but often does not. 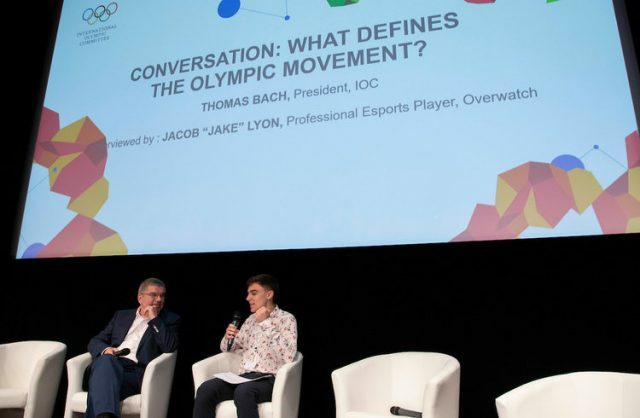 “In order to be recognized by the IOC (International Olympic Committee) and by the Olympic movement, it is not enough just to show physical activity,” said IOC President Thomas Bach before an esports Forum in Lausanne. “Physical activity must also be in compliance with the values of the Olympic Movement. Bach later claimed that, in his view, the “concentration, quick reactions, tactical understanding”, competitive spirit and mental fitness required for top-level esports is comparable to traditional Olympians, but he conceded this is far from a universal view. My colleagues tell me that other IOC officials present showed only mixed enthusiasm. My Twitter feed was awash after the meeting with middle-aged and – largely – male sporting executives backslapping and congratulating themselves for having the foresight to consider a computer games collaboration. Personally, I just don’t get this and don’t see what the Olympics has to gain from esports. Bach spent the first two years of his Presidency stressing the need to get “couch potatoes off the couch” and playing sport, an admirable value even if it was a clumsy analogy. But isn’t he now considering the exact opposite? We journalists are competitive, mentally fit and like to think we have good reactions and tactical understanding. But, while there are many media types who take themselves very seriously, I am yet to meet one who genuinely thinks their profession should be on the Olympic program. By the time they consider introducing esports to the Olympic program by 2028, is it not also likely that a new and trendier alternative will have piqued the interest of young people? A similar argument to the ones made about the late timing of skateboarding’s debut at Tokyo 2020. I suspect the real motivation Olympic figures have for collaborating with esports concerns money, which, in practice rather than theory, is one value which those who run sport do prioritize. There is also something nauseating about Bach’s evangelical crusade in favor of non-violence and discrimination. He would undoubtedly claim that the presence of at least six combat sports on the Tokyo 2020 program is different to the sort of mindless violence espoused in some computer games, but the distinction is a subtle one. The IOC has, to my knowledge, stayed quiet on this, but was keener to argue with the United States Anti-Doping Agency (USADA) over the new Rodchenkov Anti-Doping Act which could put all athletes under the country’s criminal code, despite the “very worrying” existing challenges of doping in American professional leagues. The IOC always seem terrified about USADA and would no doubt love to lock its chief executive Travis Tygart in one of the henhouses he always lectures them about, with a pack of feral foxes for company, but on this occasion, they do partly have a point. It is hypocritical for the US to act as the world police on doping where they continue to face so many serious problems themselves. On the other hand, the IOC are in no place to talk. The truth is surely somewhere in between. Sport is a microcosm of society which replicates every good and bad part. The race began on a cloud of controversy following the clearing of pre-race favorite and defending champion Chris Froome after he failed a drug test for an asthma product. It contained several unsavory moments. A prolonged row between International Cycling Union boss David Lappartient and Team Sky head David Brailsford which left neither looking particularly good. The constant abusing and hassling of Froome and other members of his team by spectators, a rider disqualified for punching a rival and a farmers protest which caused the race to be halted after police mistakenly sprayed the peloton with pepper spray. It was still sport at its glorious and exciting best and, as it stands, it resulted in a popular and grounded winner in Britain’s Geraint Thomas who seems to exhibit most of the values we want in our sporting champions.